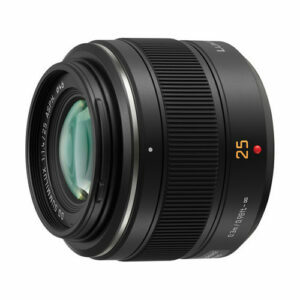 Lens Description: Panasonic's Leica DG Summilux 25mm f/1.4 ASPH Micro 4/3 Lens is designed for use with Lumix G Micro 4/3 cameras. 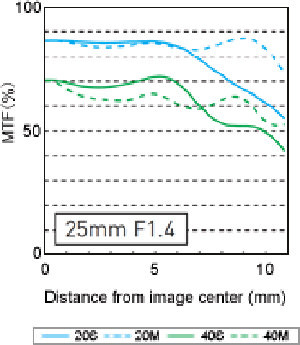 It provides an angle of view similar to a 50mm lens on a 35mm or full-frame digital camera, and the wide f/1.4 maximum aperture can deliver beautiful, bright photos and videos with softly out-of-focus backgrounds. Built to Leica's usual high standards, this lens delivers excellent image quality with minimal distortion or chromatic aberrations, with a sturdy metal mount.